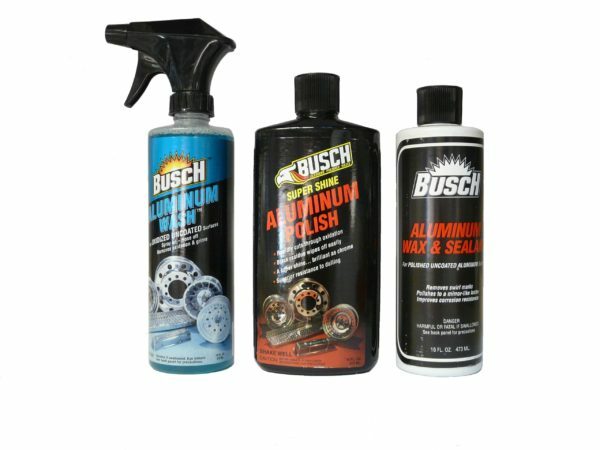 Step 1 – Busch Aluminum Wash (16 oz.) To make polishing easier, start with Aluminum Wash. 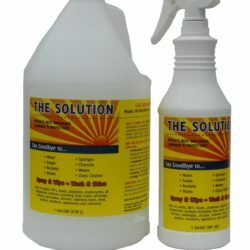 This mild acid based cleaner removes oxidation, hard water spots and minor pitting around the lug nuts. Clean the surface, spray the cleaner on, leave on for 2 or 3 minutes (don’t let it dry). Rinse with water. Repeat if necessary. The aluminum surface will be back to base metal and ready for polishing. 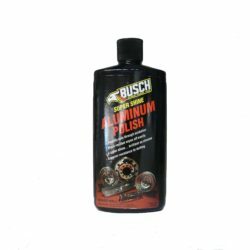 Step 2 – Busch Aluminum Polish (16 oz.) Get a chrome-like shine in no time with Busch’s Polish. This product is formulated to work beautifully by hand but you can also use with a buffer. It polishes deep into the aluminum, removing oxidation and pitting that most ordinary polishes leave behind. Your aluminum wheels will shine in no time! 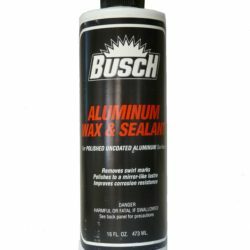 Step 3 – Busch Aluminum Wax and Sealant (16 oz.) Wax and Sealant is an easy way to keep your aluminum looking good. After polishing your aluminum, simply put a little wax on a small cotton terry cloth and apply it to the wheel. Leave on for a few minutes, and then wipe off with a clean cotton terry cloth or soft cotton tee shirt. Your aluminum will now hold the shine.